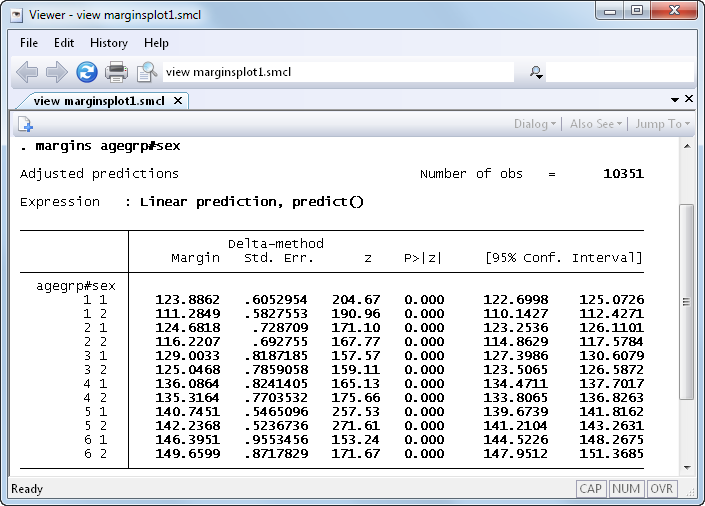 Margins plots were introduced in Stata 12. See the latest version of margins plots. New in Stata 12 is the marginsplot command, which makes it easy to graph statistics from fitted models. marginsplot graphs the results from margins, and margins itself can compute functions of fitted values after almost any estimation command, linear or nonlinear. 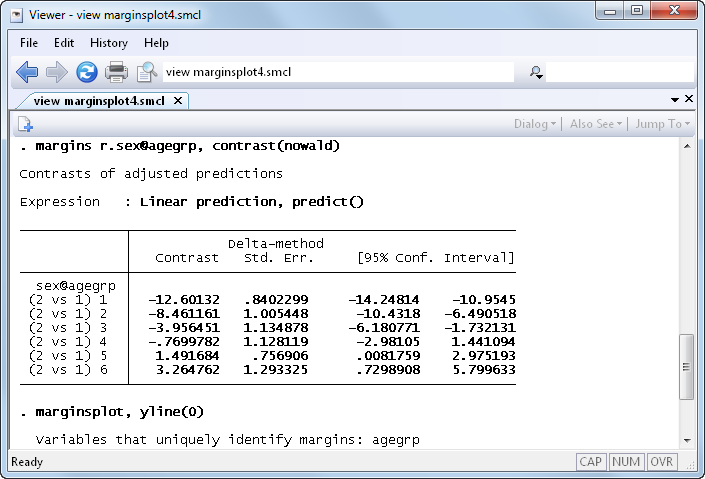 marginsplot automatically chooses the y-variable and x-variable and adds confidence intervals. We don’t have to stick with the defaults, though: marginsplot includes a rich set of options for changing axis definitions, labels, curves, confidence intervals, and more. We see that systolic blood pressure is lower in younger women than in younger men. But among the old, the relationship is reversed, and women have higher blood pressure than men. We’ve only scratched the surface—anything that margins can compute, marginsplot can graph.